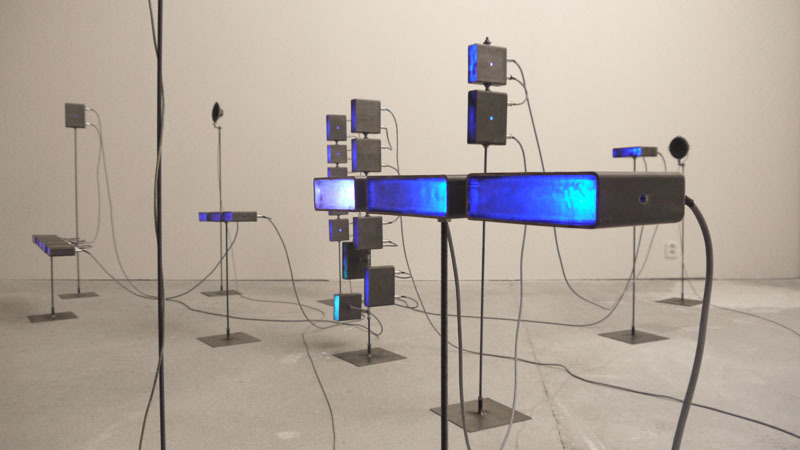 Light is controlled synchronously with sound. 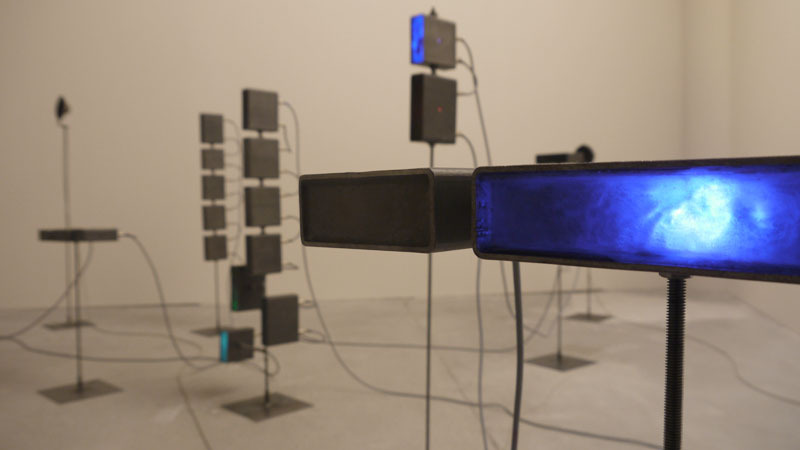 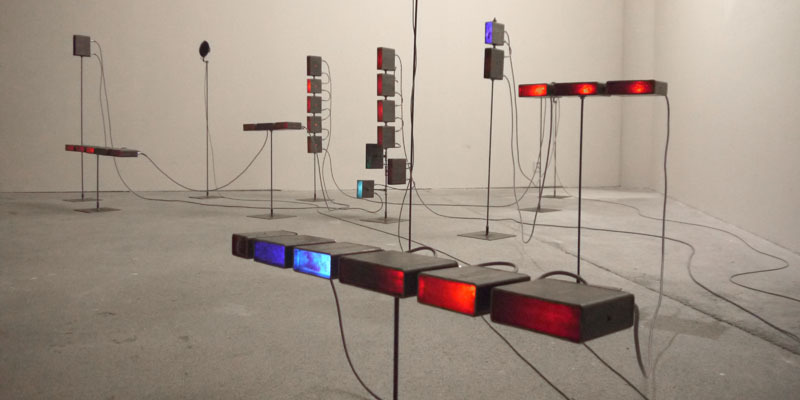 Each metal light block has its own rhythm, light and sound. 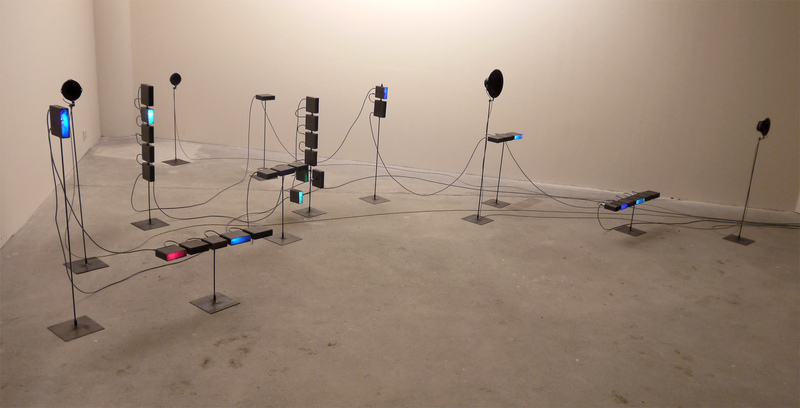 All is driven from my max/msp patch. Polyrhythmic sound/light structure is generated. 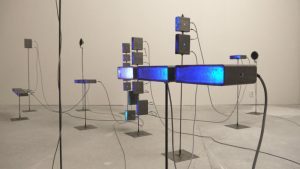 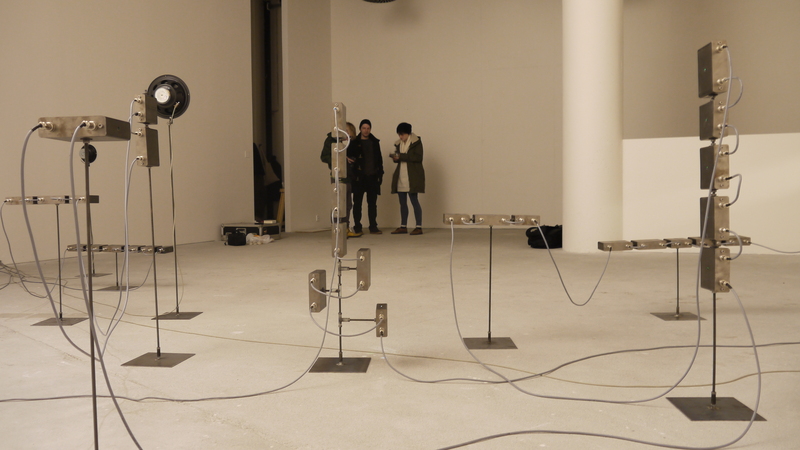 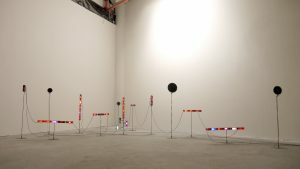 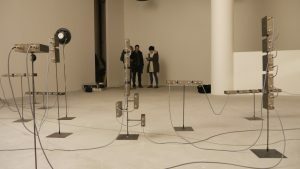 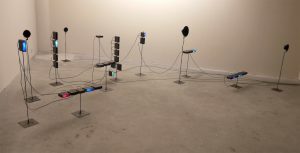 Installation is modular – can be connected/disconnected/ re-arranged into the object that fits into the space. Algorithm programmed in max/msp can for each block set up the length of the sequence, 3 point rhythm, pitch of the sine/FM osc and color of the LED light. 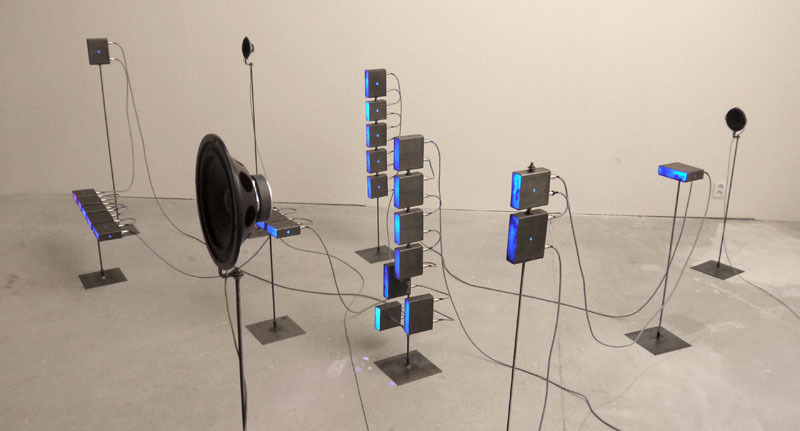 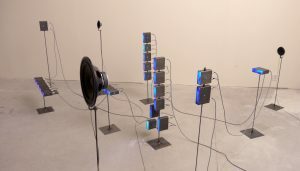 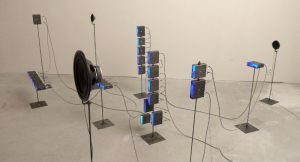 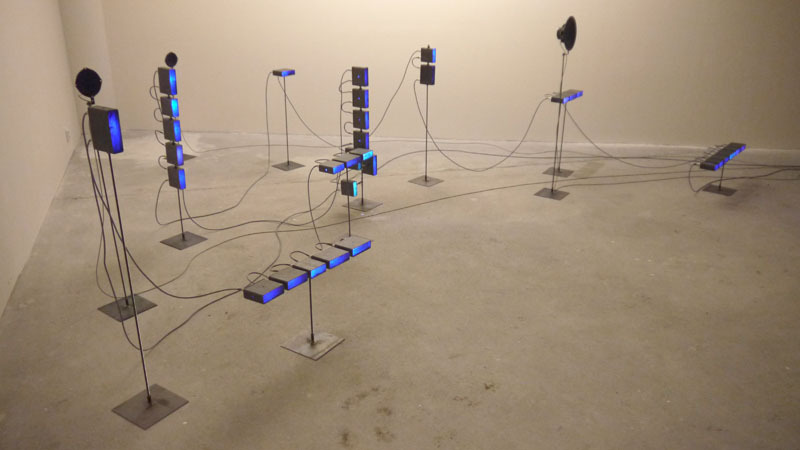 Installation can be also presented in a live concert form. 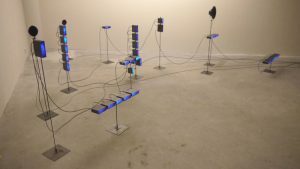 In this case I control the sound and light with midi controller and sequencing.